Shivers is always looking for motivated individuals to add to our team. If you are looking for a job where you can strut your social interaction skills, we would love to introduce you to our customers. Shivers looks for hard working, friendly, and motivated applicants that are interested in equipping themselves with the tools and knowledge that will help them transverse their future. 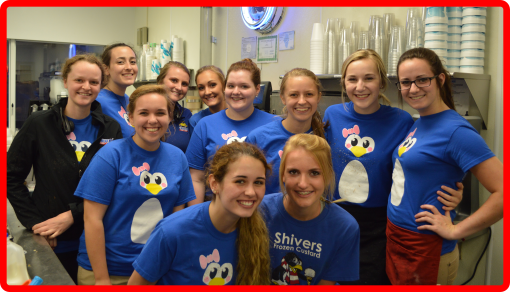 Part of your employment at Shivers includes learning skills, honing already present skills, and training high school/college students what is required of them when working a job, teaching skills that will one day help you deal with situations in school and eventually a career. Plus, it's a 'cool' job. Download an application below, and visit us to turn it in.